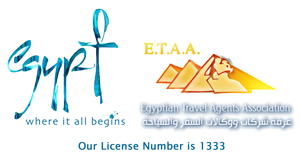 Enjoy a stress free experience with one of our many Cairo tours. Carefully planned itineraries allow for a fine balance of sightseeing and free time to explore Cairo on your own. When we design a particular trip for you, you can choose any hotel you wish. Explore sites which are both world famous and those which are less well known, all of which offer a fascinating insight into the thousand years and more which we call “Pharaonic Cairo”. The great pyramids of Giza, the single remaining Wonder of the Ancient World, have long fascinated people. Although the pyramids and the Sphinx are best known, there are other sites that are more ancient and just as grandiose. Among them are the funerary monuments of the Old Kingdom at the great necropolis of Saqqara and the wonderful desert sites of Dahshur and Meidum. These archaeological sites are known for their desert scenery, ancient ruins, and the opportunity to get off the beaten tourist trail. Wandering through the ever-changing streets and bazaars is still one of the city’s greatest charms. Hang out in one of its historic cafes and enjoy the hustle and bustle around you. Just south of modern Cairo is the historic enclave known as Old Cairo. This part is a warren of alleyways and covered bazaars. Explore the city’s waterfront by walking along the Nile boulevards on the main Corniche. 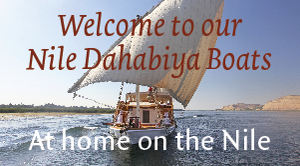 You can take a felucca sailing trip, or simply watch the sunset over the Nile. Don’t forget to pay a visit to the Egyptian Museum, home to the finest collection ancient Egyptian masterpieces in the world. The nearby countryside villages of Kerdassa and Harraniya are home to many tapestry-weaving, hand-made carpet and pottery workshops. Enjoy the highlights of Cairo in the easiest way possible on one of these suggested itineraries, which takes in classical sites, as well as less-explored parts of Cairo in the company of expert guides with smooth travel planning. There’s no end to the amazing adventures Cairo offers. Therefore, we must stress that we offer complete flexibility and these examples are only a guideline; please Contact Us for advice. Cairo is a fabulous place! We love to help you explore the city. This 3 days itinerary is just a starting point. You can follow it, or mix it in with your own plans. If you only have one day in Cairo, take a look at our Cairo Day Tours. Start at the Citadel of Saladin houses with several palaces, museums and three different mosques. Don’t miss the views across the medieval city and beyond from the Gawhara terrace. The Mosque of Sultan Hassan is one of the finest examples of early-Mamluk architecture in Cairo. Lunch break and a walking tour in Al-Azhar Park, designed on traditional Islamic gardens, offering peace and quiet in a hectic city. Walk along the famous Darb al-Ahmar to the covered Tentmakers’ market near Bab Zuweila, passing the alleyways of the Khan el-Khalili souks to the ancient passage of al-Mu’izz li-Din Allah Street towards Bab El Futuh. These streets, alleys and cafes are where Nobel Prizewinning novelist Naguib Mahfouz found his inspiration for his novels and short stories. For centuries, Giza’s Pyramids and the Sphinx have impressed travellers. You will visit the Giza Plateau and its pyramids and surrounding monuments. It’s possible to enter one of the pyramids. You will also see the often overlooked Solar Boat Museum. After a full visit to Giza and lunch break, our driver gets you to Saqqara. With its hundreds tombs, as well as a few pyramids, Saqqara is one of the most important archaeological sites in Egypt. To learn more about the archaeology and excavation history of Saqqara, visit the beautiful Imhotep Museum, named after the architect of the Step Pyramid. Alongside the honking horns and bustling crowds of Cairo’s iconic Tahrir Square, there’s the Egyptian Museum, home to some 120,000 of the most treasured artefacts of the country. Our Egyptologist guide will give you a private introduction to the collection, from little-known but important objects to pieces that have amazed the world, like the priceless treasures of Tutankhamun. Discover Cairo’s old city by visiting the historical Coptic churches around the Roman fortress of Babylon, the Holy Family’s Cave, the fascinating Coptic Museum and Egypt’s oldest synagogue. Following this you will visit the nearby Gayer-Anderson Museum and the Ibn Tulun Mosque. Finally, enjoy the bustling souks and visit one of the city’s traditional coffeehouses. Where else can you sip sweet mint tea and try a fragrant shisha? Cairo is a fabulous place! We love to help you explore the city. This 4 days itinerary is just a starting point. You can follow it, or mix it in with your own plans. If you only have one day in Cairo, take a look at our Cairo Day Tours. Start at the Egyptian Museum with more than 120,000 artefacts in over 100 halls. It would literally take months to see everything! However, with a private Egyptologist guide it is possible to see all the highlights, including the golden treasures from the tomb of Tutankhamen. Hereafter drive to Bab al-Fotouh and walk into Al-Muizz Market Street with its mosques, mausoleums and antique shops. Amazing sounds and smells surround you in the alleyways that will lead you to the Khan el-Khalili souks. Hungry and tired? Your guide will point you his favourite lunch spot. Your day ends at Cairo’s oldest coffeehouse El Fishawy to enjoy a fresh mint tea, their speciality since 1737! Visit the sole surviving Wonder of the Ancient World, Giza’s Pyramids and the surrounding area. Arrive early if you want to get one of the limited tickets to visit the inside of the pyramid. The Giza plateau is huge; with 3 pyramids, the Sphinx and the Solar Boat Museum. Nearby Saqqara was the necropolis of the ancient capital city Memphis. There are fifteen royal pyramids as well as a number of tombs, and the Imhotep Museum, built-in memory of the famed architect who designed Egypt’s oldest stone-built pyramid – 4,700 years ago! Today’s trip combines many unexplored and seldom-visited archaeological sites: the pyramids and remains of Dahshur, Lahun, Meidum and Hawara. In Dahshur you can venture into the heart of the Red or Bent Pyramids. Their setting on the edge of the desert next to lush green fields is stunning. Absorb Egypt’s religious diversity with a visit to the historic Coptic churches of Old Cairo. The monuments include the Hanging Church and the eleventh-century Church of St Barbara, as well as the Coptic Museum and the Ben Ezra Synagogue. The Islamic part of Old Cairo has some great mosques, such as the Mosques of Sultan Hassan and Ibn Tulun. Inside the grounds of Cairo’s Citadel you’ll find medieval mosques and old palaces. Wandering through the alleys of Old Cairo, with its architectural treasures, is one of the best ways to experience the intriguing street life of the city. You find a broad range of midrange and top-end hotels across Cairo. The downtown area of central Cairo has the best midrange options. It’s convenient to the sights, metro and train stations and the airport. Most of the top-end hotels are located along the Nile or in the quieter residential area in Zamalek on Gezira Island. Near the pyramids in Giza you’ll find more relaxed hotels with lovely gardens. When we design a private trip for you, you can choose any hotel you wish. Mena House has enchanted guests since 1869, playing host to royalty, world leaders and celebrities. The hotel was originally a palace, and it still nestles in 45 acres of beautiful gardens. This is a grand hotel in every sense, reflecting the atmosphere and service of a more elegant time. However, only one hotel can be majestically located at the foot of the Great Pyramids of Giza – Mena House! The Mena House offers a total of 424 guestrooms and suites, housed in the historical Palace wing and the modern Garden wing. Most of the Superior rooms and all of the Deluxe rooms have private balconies, and guests can choose from garden or pyramid views. All rooms are lavishly furnished, seamlessly blending the traditional with the latest in modern comfort and the conveniences of a luxury Hotel. The Executive and Deluxe suites are elegantly designed with arabesque furnishings, unique antiques, and original artworks. For exceptional accommodation choose a Presidential suite, each of which has a large private terrace, providing exceptional breathtaking views over the pyramids. Honouring the hotel’s history of fine cuisine, the gastronomic Al Rubayyat restaurant serves a blend of gourmet cuisine, while the The Moghul Room is still the most celebrated Indian restaurant in Egypt. If you favour a varied international menu, try the Khan El Khalili or the Sultan Lounge. There is also a large outdoor pool, a spa, tennis courts and an eighteen-hole golf course. Located at Giza, a few minutes’ walk from the Great Pyramids and a 30-minute drive from the city centre. 25 km from Cairo Airport.